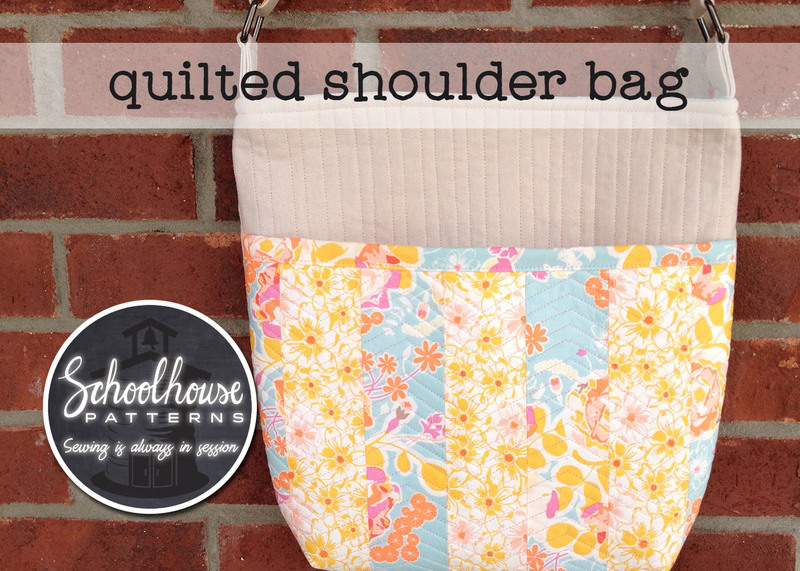 The Quilted Shoulder Bag (formerly known at Granny’s Pocketbook) is a quilt-as-you-go purse with and adjustable strap that can be worn as a shoulder bag or a cross-body bag. It has one large quilted pocket on the front and 2-4 pockets on the inside. The bag closes with a magnetic snap, which is optional. I added some patchwork to the underside of the strap. It gives it a little pop. Want to customize more, change the size and number of patchwork strips for the front pocket like on the picture above. Be adventurous. Your PDF includes 11 pages of instructions which are fully illustrated with color photos along with 2 pattern sheets. You can find the pattern in my Etsy Shop.